A lover of Christ, your recently deceased loved one knew that the Heavenly Father was waiting to take them home before they passed away. The cross upon which he died is depicted here to help remind those in mourning of the happy afterlife they have transcended. The Traditional Cross Funeral Pamphlet Template is a simple, elegant funeral program template that measures 8.5 inches by 11 inches. 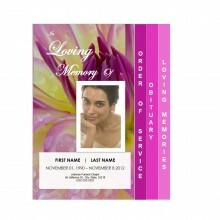 It is to be customized using Microsoft Word, and if you do not already own a copy of the program, we will provide one for you. 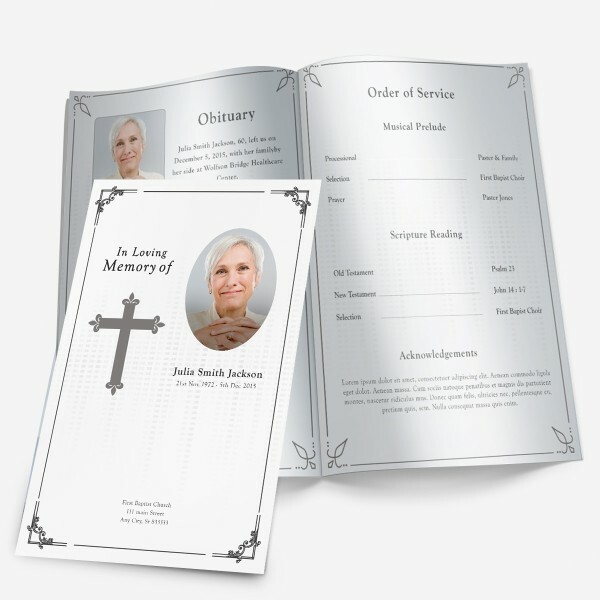 We will also edit the templates for you if you wish. 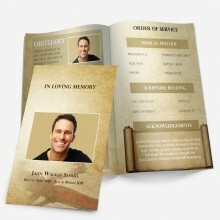 The Traditional Cross Funeral Pamphlet Template showcases a black and white cover that holds a traditionally styled cross. 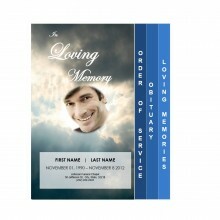 On the cover you will also find an oval-shaped placeholder upon which you can put a photo of your loved one. Beneath that rests his or her first and last names as well as their birthday and date of their passing. 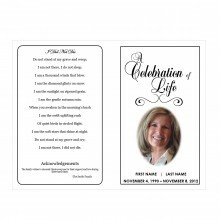 Inside is an obituary template on one page, and on the other there is ample room for the order of service as well as a few acknowledgements of gratitude for those who have attended the service and helped you through these trying times.